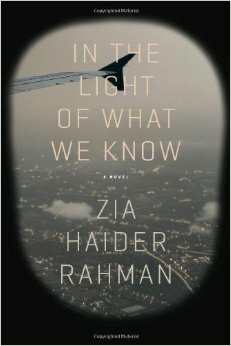 I’ve just begun to read a novel by a Bangladeshi,In The Light of What We Know by Zia Haider Rahman. It is a very strange book. I’ve read maybe the first 5% of it, and I still could not tell you at all what it’s about. The book has, so far, consisted of one man–an investment banker from Pakistan–describing a visit to his house by a long-lost friend: a human rights lawyer from Bangladesh. The narrative is then taken over, for a chapter, by the friend’s account of his arrival in Afghanistan to work for an aid organization. Everything is so slow and meandering. There are so many asides. There’s so much additional information. For instance, in the friend’s Afghanistan chapter, the friend breaks away for a few pages to describe the first Anglo-Afghan war and how the British army perished in the mountains. The voice, too, is incredibly mannered. It feels, at time, like a 19th-century novel, but there’s also a coldness to the voice. It’s like everything is coming at you from the other end of a large room, and you need to concentrate very hard in order to hear. Suleiman’s most distinctive feature by far was his eyes, not their color, a tepid gray, nor their great arching eyelashes, but the manner of their movement, the intermittent darting here and there, toward the door, the windows, and later, outside, around about him. They called to mind small mammals, mice or rabbits, the kind that share their habitat with predators and know their only advantages are their alertness and nimble feet, advantages that could win them a few decisive seconds. If there had been any hint of darkness about him, I would have taken it then for evidence of fear. This passage is absurdly, and almost comically, verbose, but you know what? By the end of it, you can really see those goddamn eyes. And not just see them: you can also see something very specific–you can see the quality of their motion…that very specific way that they dart around the room. I love this. It’s not how you’re supposed to write, and that’s exactly why the book is so good. Doing some writing stuff. Trying to get back into the groove.